The Madshus Ultrasonic Skate Jr. Ski is the perfect tool for every aspiring nordic racer who needs a lightweight and affordable beginner's ski. Madshus have wrapped the Ultrasonic Skate Jr.'s light and sturdy Multicore with reliable Torsion Cap Construction and used a junior-specific NIS binding plate that's easy to use and adjust. 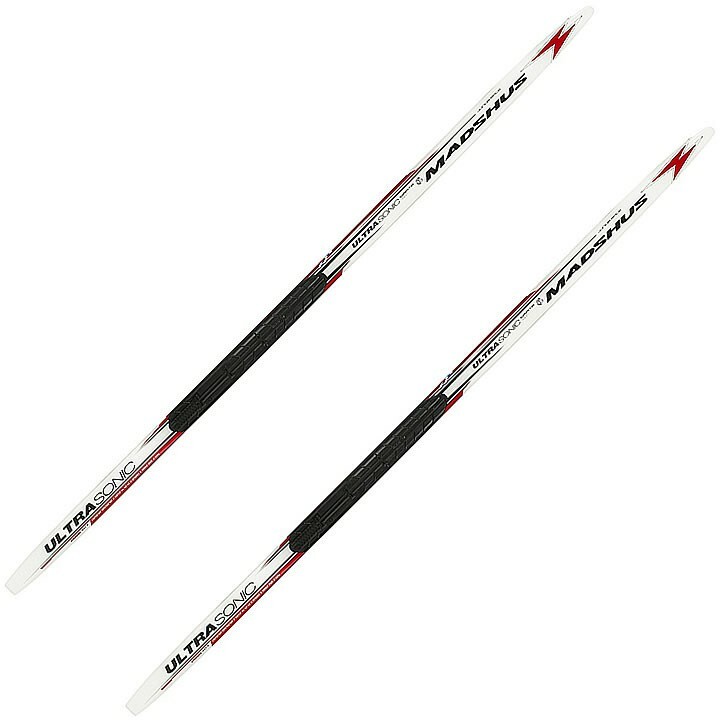 Multicore: Multicore is a highly durable Madshus wood core laminated together to enhance the camber lifetime of the ski. Multicore gives extra strength and liveliness to the ski, and it is shaped to fit the ski profile, minimizing the excess use of glue in the ski's production. Torsion Cap Construction: Torsion Cap Construction reinforces the ski's core with a cap, allowing for a very durable and lightweight construction. NIS: The NIS (Nordic Integrated System) allows for the quick and easy removal of NNN bindings. Make micro adjustment out on the trail and dial in your performance.